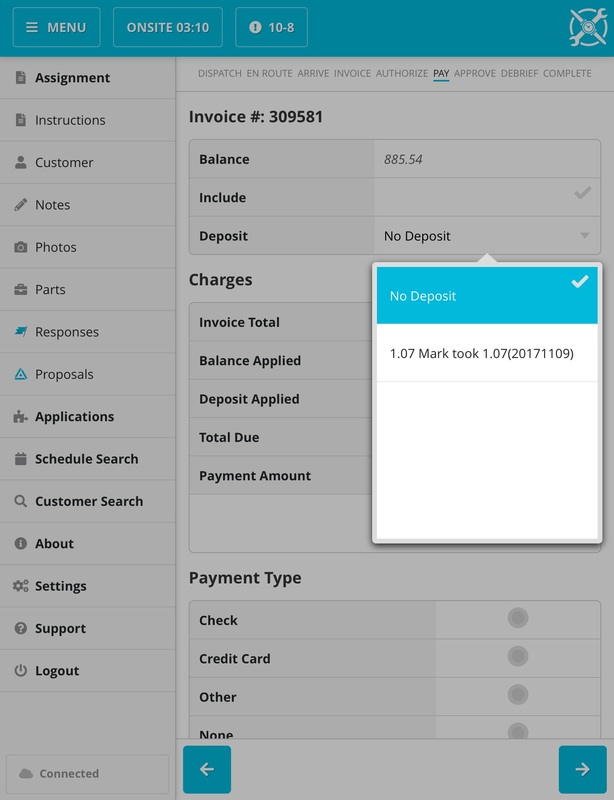 To use a deposit that has been attached to a billing account in SuccessWare21, simply click the dropdown box labeled Deposit on the Payment screen (shown below)and select the deposit you wish to apply to the open invoice. If there is nothing available, it means there are no deposits available on the account. If you see the following Error Message 'The submitted deposit amount is greater than the current balance on the deposit. (cdm12)', please make sure that the Invoice Total is not less than the Deposit. Once you uncheck this box, the payment should go through with the Deposit attached.